Working with a kitchen component is not like flying a fighter jet! Almost all the blenders have some essential features which are very similar. But when it is time to buy one for your very own kitchen, it’s not that much easy anymore. Every one is different from one another. Today I am going to give you an honest review of Ninja Professional BL660. I did it based on my personal experience and from many other users experiences. So, no need to search the internet anymore. To know about Ninja Professional single serve, this one will be enough. At the very end, you will find whether this one is for you or not. Why should you choose Ninja Professional BL660 over another one? Well, what those companies say to us? They talk about the powerful motor, high-quality smoothies in a brief time. All of those things are given by world famous Blendtec or Vitamix. Naturally, they make great products. But you are searching for all of those features in a good quality product? And don’t want to spend more? Then you should go for Ninja Professional BL660. If you can gate similar functions with a minimum price, then why not? 1 XL 72 oz. Capacity container. Big enough right? 2 Professional Nutri Ninja cups To Go Lids. 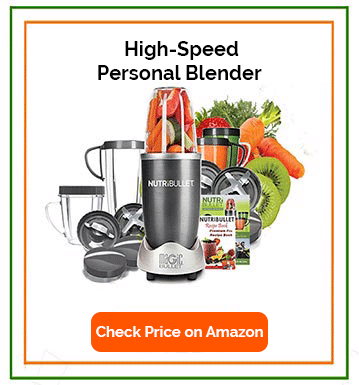 The base part of the blender contains a powerful 1100 watts of power motor.That is apparently better than Ninja Professional Blender (NJ600). Its durability and built quality are excellent enough to handle your everyday needs. 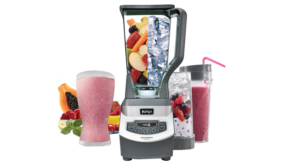 It crushes ices, makes smoothies with its powerful motor within a short time. The base part has three step power and speed control button which are easy to operate. Ninja Professional BL660 comes with a 72oz pitcher. That is quite large to make smoothies for your entire family. Where typical 54oz pitchers will fall behind. But small pitchers sometimes serve some useful purposes. An excellent example of that is Oster Pro 1200 which carries some decent features. You will get single serve cup, and single serve blade with Ninja Professional BL660. This medium might be used to blend a sole portion. This cups also come with lids which is a useful feature I guess. Do you need drinks on the go? Are you a runner? This is what you need. What to do with Ninja Professional BL660? 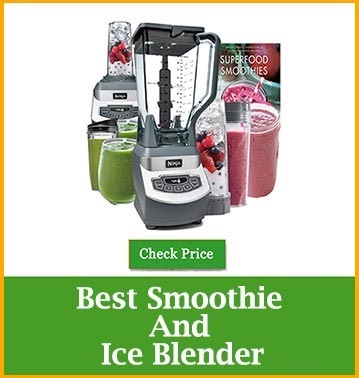 This blender is made to make your life easy and comfortable. It is suitable for family use. It will save your time by first Blending. Its powerful motor will smash everything inside the pitcher within few seconds. A 10-20 second blending is enough because of Ninja’s unique six blade technology. It crushes ice and makes those like snow. Smoothies are lovely, your children, husband, wife and the entire family will love. I have searched on the internet and had a look at many user reviews. Most of the studies say positive things about its performance. People are happy with it as it provides excellent service within a budget. So this one is going to make you happy too, as far as my study says. Some disappointed customers want service like a top range machine from this one. 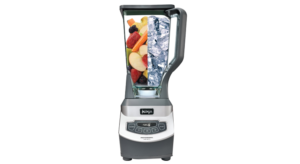 You are expecting the performance of an 850$ blender from a mid-range blender. That is crazy right? So that’s an honest speaking about Ninja Professional BL660. It crashes, blends, purees, and does so in a controlled way because of the powerful motor. 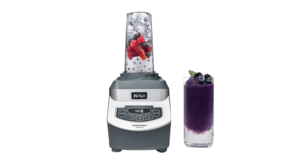 Its powerful motor and unique blade assembly makes smoothies and total crushing ice within a few seconds. It is a “value for money” product. Cost one-third of the other powerful blenders. This one is very easy to clean as it is dishwasher safe. Large pitcher is a beneficial thing if you want to make smoothies for your entire family. The server cups they provide are also handy and useful. This machine is 17” tall, may not fit in all kitchen cabinets. Need to be careful of cleaning blades. They are sharp. Need to be careful not to get cut. Processes healthy ingredients slower than high-end blenders. Leafy greens seemed to be an issue. Those green items are not blended very well by this one. But combining for too long you might get a better result. Apparently, this one is a perfect blender.It comes with a one-year limited warranty. I have already said it is a value for money product. 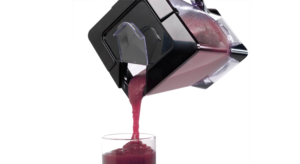 It is not made to take the too heavy pressure and casual professional use.If you use your blender only for the family purpose, then you should go for it. Just like thousands of users worldwide, it will make you happy too.